Taking its name from the ferocious American predator set the tone for Puma’s business model. Puma has a long history of supporting sports and athletes that prefer to shake up the mainstream instead of flowing along with it. Other athletic brands keep to soccer, basketball, football. Traditional sports. Puma sponsors Formula One, Rally Car, and Superbike Championships. Puma revolutionizes the athletic industry every single day. Revolutionize your game with Puma Golf gear. Golf doesn’t mean progress. Golf means tradition—old rules, old courses, old fashioned. It’s due for a dose of the 21st century, and Puma Golf can make that happen. Puma golf gear isn’t old. It’s so fresh and so clean. Sleek designs? We have it. Neon colors? We own it. Can I get my shoes in a high top? Of course you can. Puma Golf doesn’t live by the rules of other brands—it’s for the golfers that make their own rules. Be a part of the movement with Puma Golf. 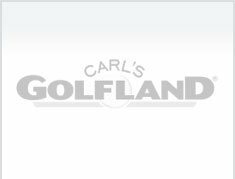 Carl’s Golfland carries a large stock of Puma Golf equipment to shake up your game. Stand out from the crowd with our collection of Puma apparel, or step up your style with set of Puma’s golf shoes. Or don’t. We’re not here to tell you what to do, we’re just here to tell you what you CAN do to keep from looking like every other person on the course. If you need some help finding what piece of Puma Golf gear is best for you, give one of our Puma Golf experts a call at 877-412-2757. Puma Golf is shaking up the professional circuit as we speak. Join Rickie Fowler in revolutionizing golf with Puma golf gear.